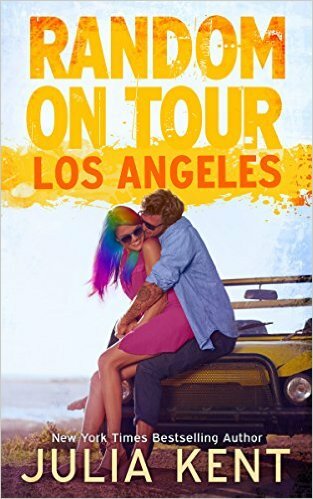 My review of Random Acts on Tour by Julia Kent. This is Maggie’s and Tyler’ story, written as Julia Kent does, with such amazing humor, passion, and makes you feel like you are apart of the story.Although, Maggie and Tyler came from different upbringings, they still have a past of trauma. Fate brings them together and they discover each others inner demons. Understanding, compassion and love is the only way both of them can overcome their pasts, but can Tyler really help Maggie or just hurt her more? You’ll have to read the book to find out!! Also, making an appearance in this book, Mavis the Chicken!! !, killer gummy bears, and Mr. Fluffer, the gerbil, all of which can only be connected to Darla, Joe & Trevor!!! I absolutely loved this book and a great addition to the series!! !